The Supreme Court has directed the District Collector of the Nilgiris to seal and close down 27 resorts operating without approval in the elephant corridors. In the Plan of Action Report was filed by the District Collector, pursuant to the court order, it had named 39 resort complexes with restaurant running even though they do not have approval for the same. Out of it, 12 resorts were represented through lawyers before the Supreme Court. “There is no one present on behalf of the remaining 27 resorts. It is deemed that they accept the Report of the Collector. The Report is to the effect that they are running commercial enterprises even though they do not have approval for the same. They are directed to be closed down or sealed by the Collector”, the bench comprising Justice Madan B. Lokur, Justice S. Abdul Nazeer and Justice Deepak Gupta said directing the collector to do the needful within 48 hours. As far as 12 resorts are concerned, the bench granted them 48 hours’ time to produce all documents showing approval and valid title and possession for running resorts before the Collector. “In case, the Collector finds that the documentation is incomplete or approval not granted, she should close down and seal the premises immediately thereafter.”, it said. During the last hearing, the bench was informed that there are large scale constructions going on in the elephant corridors in the State of Tamil Nadu. “We make it clear that no construction is permitted in the elephant corridors in Tamil Nadu. In fact, we direct the Collector of the Nilgiris to prepare a plan of action on how to identify the constructions that have been made, when they have been made and for what purpose the constructions are being utilized. 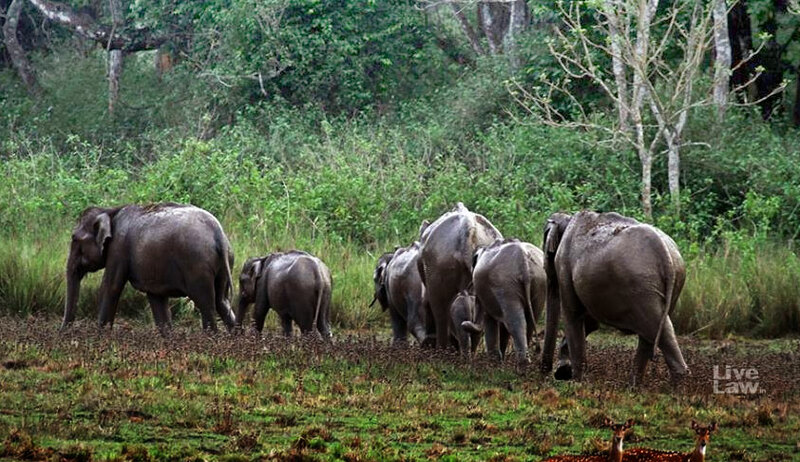 The plan of action should be with respect to the elephant corridors as mentioned in the Report of the Elephant Task Force titled “Gajah, as well as the area,a described as “expanded corridors”, it had ordered.